District 9 has experienced an all-around devaluation of prices for properties around its area. This depreciation does not only involve the high-end condominiums such as those four-bedroom units and penthouses. Even the studio types and smaller units have recently seen darker days too. To start with, Espada on St Thomas Walk has had a recent sale of a 560 sqft, one-bedroom. It was sold for a measly S$1.16 million (S$2,072 psf). This is troubling as it was bought five years ago for about S$1.24 million (S$2,212 psf) by the the seller. In other words, instead of gaining from this real estate investment, the owner actually suffered a loss of around 6.3% in five years. This has been the lowest price in terms of its per square foot price (S$2,072) since February of 2010 when a penthouse was sold for S$1,995 psf by the developer. Espada was completed in 2013 by developer Novelty Group. It is a 232-unit freehold residential condominium within a 32-storey tower. The units in Espada are mostly one-bedroom units with floor areas ranging from 344 to 657 square feet, one-bedroom with study units at 689 sq ft, two-bedroom units at 721 sq ft, and one penthouse at 1,313 sq ft.
Another smaller unit measuring at 377 sq ft has recently been sold for S$2,652 psf. It actually fetched a higher price back in May 2010 when it was transacted at S$2,801 psf. This represented a 5.6% price drop. Again, these data reaffirms the conclusion that both luxury and low-end units experienced a decline in its price. This decline is also reflected by the rental rates of the units. Shoebox units in Espada, for example, had rates fall by 10%. Monthly rental is now at S$3,800-S$4,000 according to an agent from GPS Alliance. Another condominium which has experienced the same misfortune is Skyline 360 @ Thomas Walk. Information has been released regarding the five remaining penthouse units in the project. Accordingly, the units have been transacted for a total of S$35 million, at an average of S$1,574 psf. The five units were composed of 3/4-bedroom penthouses from the luxurious 61-unit condominium. According to property consultants, the low average psf price for these units might have affected the prices in the surrounding area as resale transactions have remained scarce. Lastly, prices in 68-unit Residences @ Killiney have also dropped. This condominium which was completed at 2012 still has available penthouses for sale up until now, which all above 5,000 sqft. 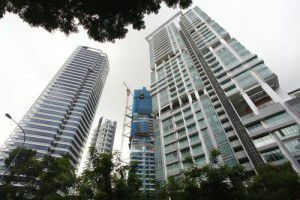 They are now priced at S$6.8 to S$6.9 million when they were used to be sold for a minimum of S$7.84 million in 2010. The biggest unit sized at 6,749 sqft was sold for S$10.15 million in September 2009. The most recent transaction recorded was for a 1,625 sqft, 3-bedroom unit. It was sold at S$2.88 million (S$1,772 psf), the lowest transacted resale price attained to date within the development. This same unit was actually sold for S$3.6 million (S$2,215 psf) in April 2013 which equates to a loss of 20% for the owner. However, amidst all these decline emerges One Devonshire. This 152-unit freehold condominium by Allgreen Properties is perhaps the only condominium which still manages to give its unit owners a resale profit. Queues had already built up two to three days ahead of its launch back in 2009 and during its first day, units had to be sold by balloting. 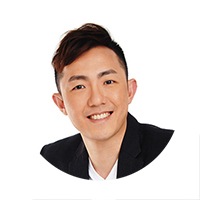 A recent transaction was for a 3-bedroom unit (1,324 sqft) which was sold for S$2.8 million (S$2,115 psf). The seller previously bought the unit for S$2.2 million ($1,669 psf), yielding a gain of 26.7%.